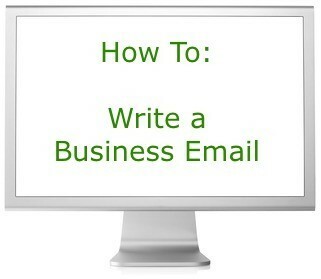 How to Write a Good Business Email? Emails are very important in the professional world. Through internet, we have overcome the distance barrier. We can mail to any country or region of the world from any corner of the world. They help us to work properly by providing timely coordination with clients or colleagues to get information. But at the same time, conveying an incorrect message through email can cause unintentional confusion. So, you are required to write a clear email in order to avoid confusion. Remember, people are busy and they get a large number of emails in a day. Not all emails are read. Hence, you need to know how to get people’s attention by communicating well. The importance of drafting a good email cannot be stressed further. Therefore, let’s learn some English writing skills for drafting a good business email. You need to write a clear yet precise email with a strong subject line and a polite tone. When you start to write the email you start with the salutation. The salutation you choose changes according to the audience. It sets your email’s tone. It’s you who have to decide what will be the salutation of a formal email. You would definitely not use “hey”. Instead, you could start with “Dear” and the name of the person you are writing to. You can use “Hello,” “Hi” and “Hey” when you write an informal email. Remember your opening sentence is the key to writing a clear email. A good opening sentence will make your reader understand about the email. If you attach a file to your email, make sure you inform the person about the attachment. Try to be precise as it adds to the clarity of the email. While ending the email, decide what you want from the reader and write accordingly. Don’t forget to use your English communication skills in professionalism. Learn and use them appropriately. You can also join a Spoken English Course and make your communication skills strong. 2. How to report your stolen debit/ credit card to the police & bank? 4. Present continuous/present perfect - Can you identify the difference? 5. How to handle a noisy neighbor?